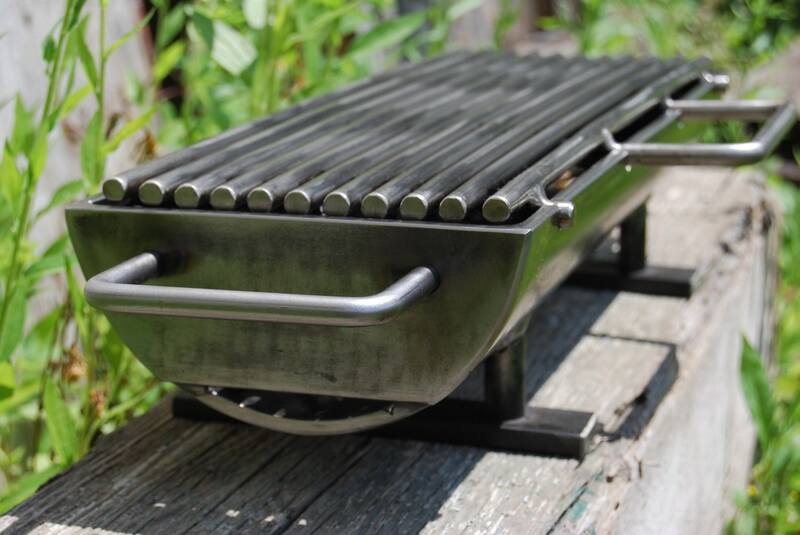 This is the original Kotaigrill modern steel hibachi grill. The perfect personal grill for the discerning grill chef. 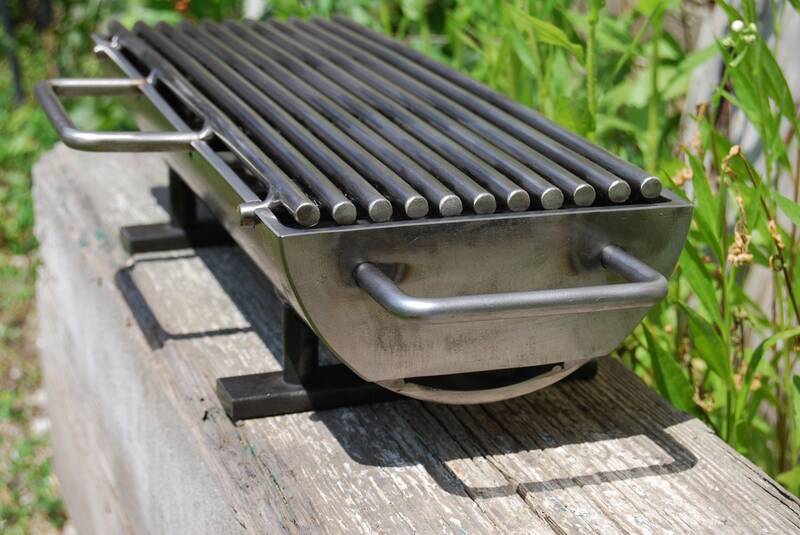 The 618 grill design was the very first Kotaigrill hibachi grill, the prototype is still in use today! You may notice that there are several metalworkers who have been inspired by the Kotaigrill design concept. Some have launched their grill ideas off into their own stylized versions, while others have attempted to copy/rip-off our trademark grill design. This IS the real-deal, made by hand in Baltimore Maryland USA! 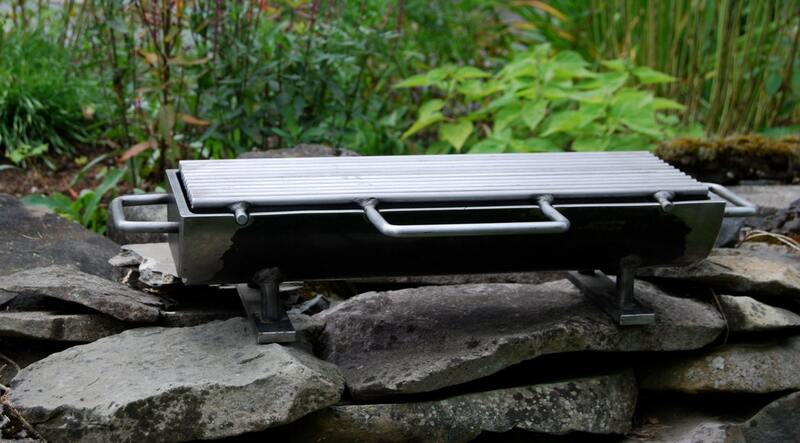 Constructed of welded steel, this grill in nearly indestructible weighing in at a mere 25 lbs. 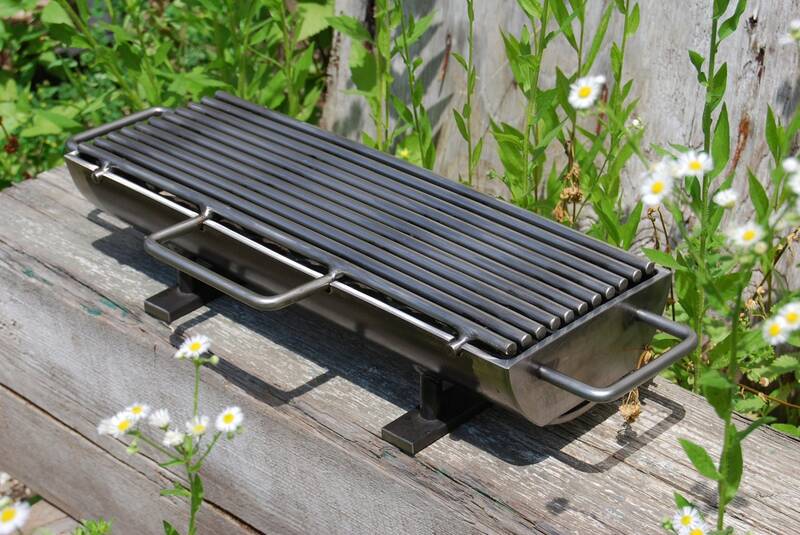 This grill is perfect for cooking small cuts of meat, fish, chicken, and vegetables. The spaces between the grilling bars are set close enough, so as to NOT lose all those tasty little things down into the coals. 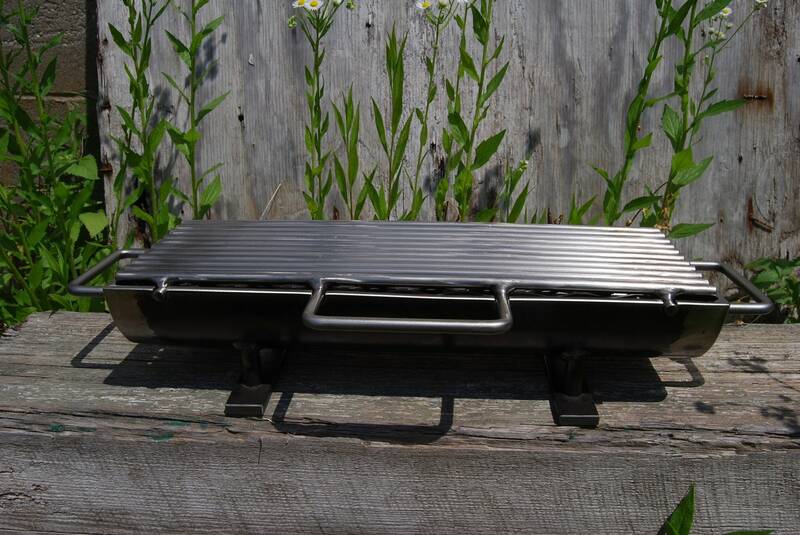 The grilling surface is a 6" x 18" removable carbon steel grill top, welded- tough for years of dependable use over high heat. Oh, and yes; this IS the grill we drove a 7000lb track-loader over, and it survived!!! Who else can say that about the products they build?